Greece is set to receive the first chunk of its third bailout on Thursday. If all goes according to plan, Greece is set to receive the first chunk of its third bailout on Thursday. 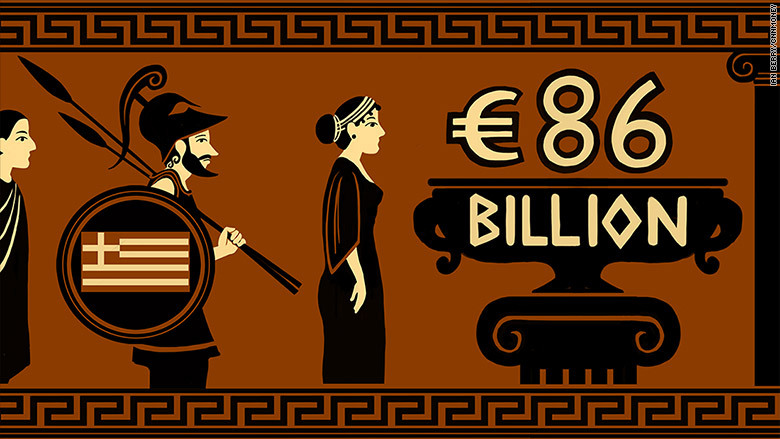 The package, worth up to 86 billion euros ($95 billion), will help the country avoid an outright financial collapse. Germany's parliament voted in favor of the bailout on Wednesday. Germany and all the other countries that use the euro currency have agreed in principle to bail out Greece. But this time they'll have to do it without the direct financial support of the International Monetary Fund -- at least for now. 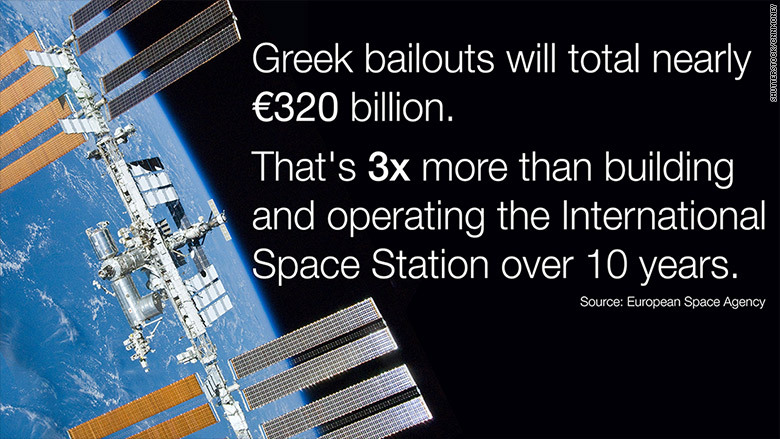 The IMF participated in the last two bailouts that were worth 233 billion euros ($257 billion). But now it's monitoring the situation from the sidelines. The managing director of the IMF, Christine Lagarde, says her organization won't get involved until Greece receives "significant debt relief" from creditors, saying that it's unrealistic for Greece to repay all its debts without extra help. She also reportedly said there was "room to maneuver" for debt relief through lower interest rates and extended debt payment deadlines. "This ... is typical Merkel politics: Problems are addressed on a step-by-step basis, while potential future difficulties are moderated by striking a positive tone, but without making clear-cut promises," explains Carsten Nickel, a Brussels-based political risk analyst from Teneo Intelligence. The IMF's refusal to participate highlights strong concerns about the viability of the new rescue package and Greece's financial future. But it's generally believed that this bailout would be better than the alternative of a messy financial collapse in Greece, which would push it out of the eurozone.